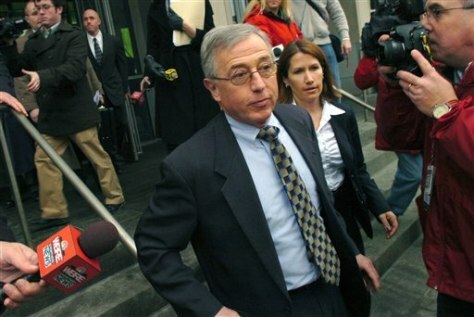 Mark Ciavarella leaves federal court in Scranton, Pa., on Thursday after pleading guilty to fraud. Prosectuors say the former judge and a colleague took $2.6 million in payoffs to put juveniles in lockups run by private companies. Ciavarella has denied taking kickbacks.